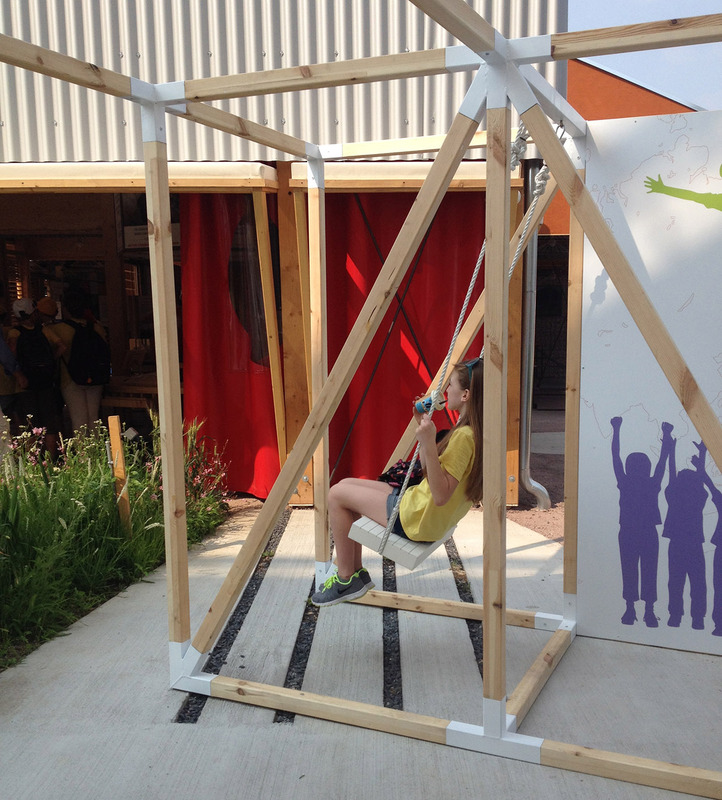 The swing is a traveling installation, a small exhibition space but also a place to play and to rest. 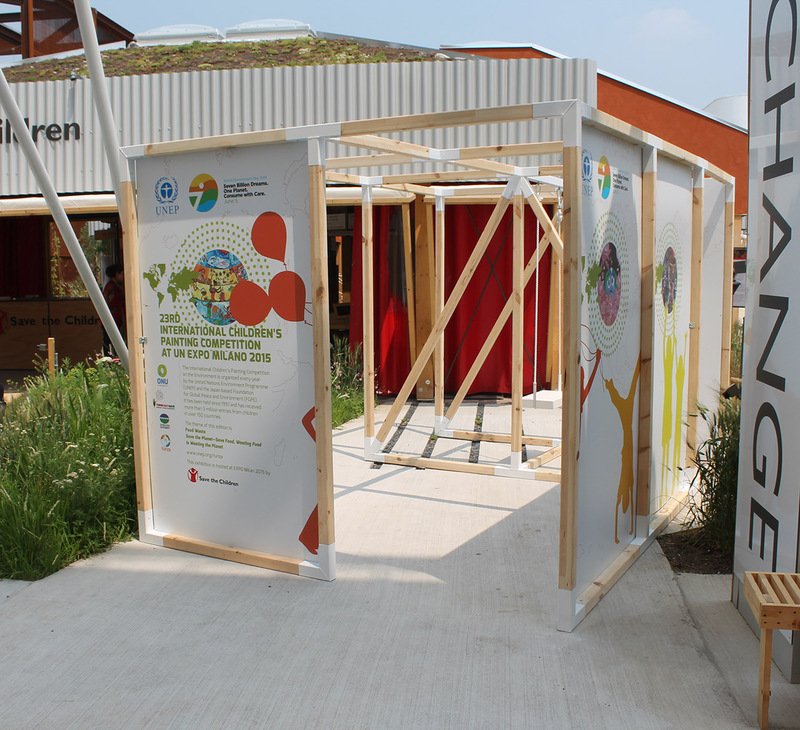 It has been conceived to host drawings from the international Children Painting Competition that UNEP (United Nations Environment Programme) is organizing every year to raise the children’s awareness about environment issues. 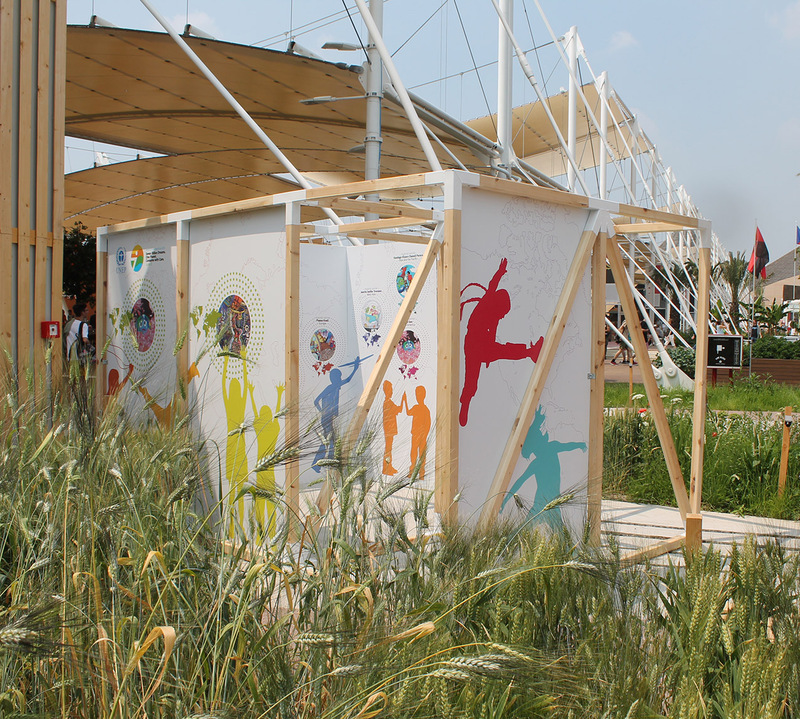 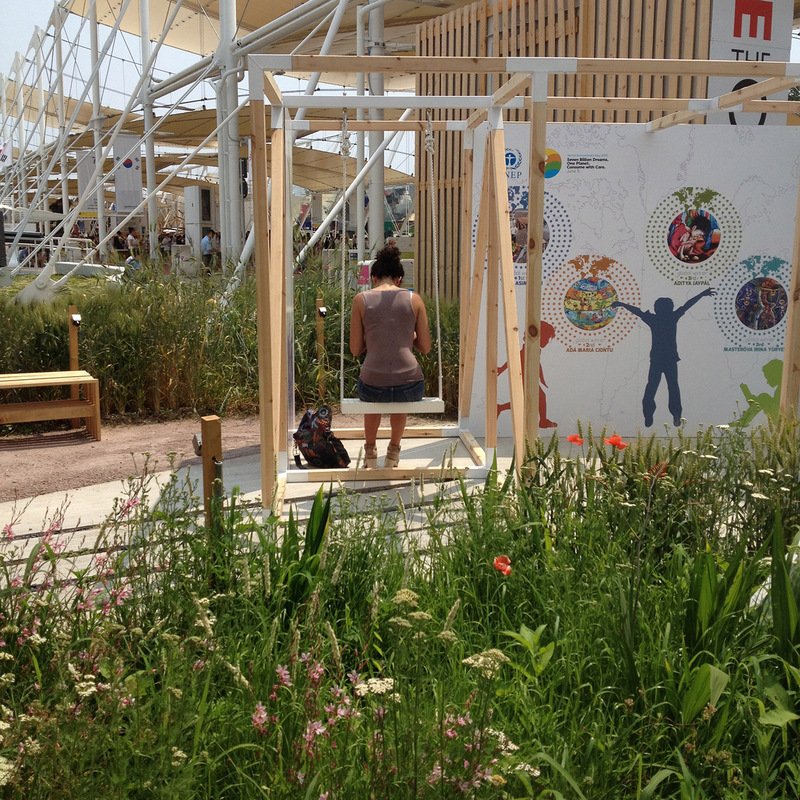 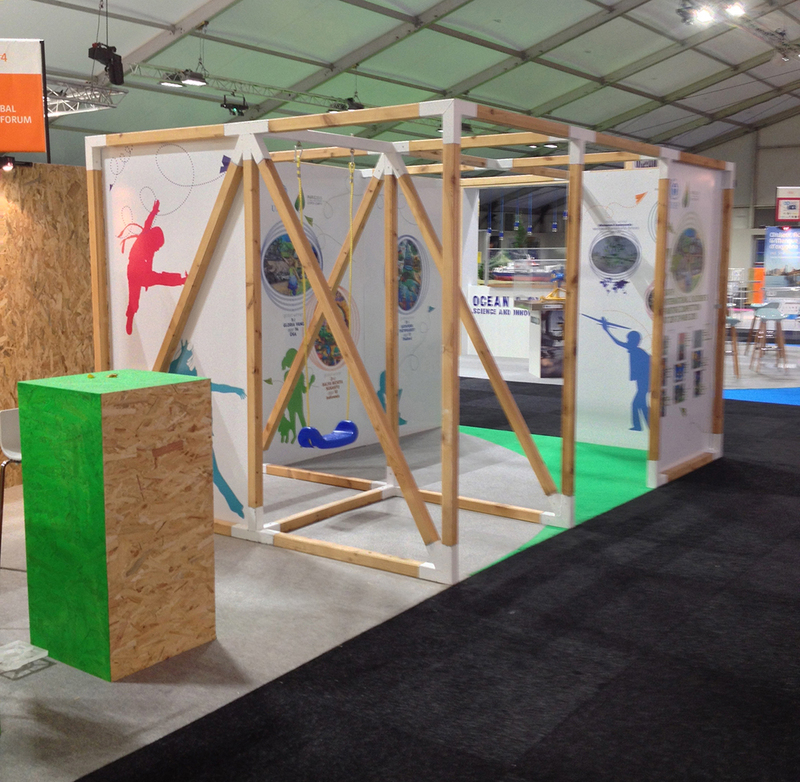 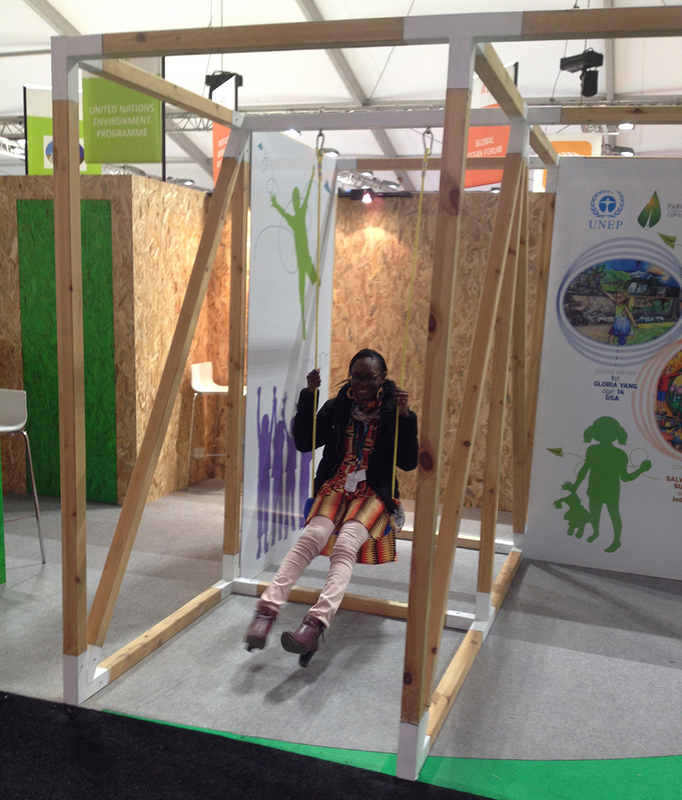 The swing has been installed in EXPO Milan for World Environment Day and in Paris at Le Bourget for COP 21, the UN conference on Climate Change.